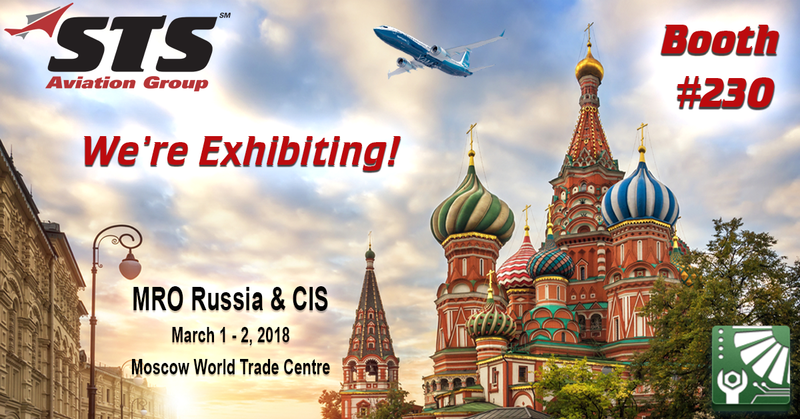 MRO Russia & CIS is a one of a kind event of this scale taking place in the ex-USSR that is committed to covering the critical issues regarding the restructuring of MRO services for this region’s aviation industry. At this year’s conference and exhibition you can expect displays from over 100 companies from 36 countries across the globe, the opportunity to meet with industry leaders and decision makers from over 40 different airlines, technical and engineering management teams and local and international MRO providers all in one place! Conference topics and workshops include MRO strategies, aircraft maintenance and business development in Russia & CIS, MRO digitalization challenges and prospects and so much more! You can view the complete program agenda here. Members of STS Aviation Group, Omur Keskin (Regional Sales Director, STS Component Solutions), Tyrone Barnsley (Sr. Sales Manager, STS Component Solutions) and Ksenia Solovieva Ozkara (Customer Support, STS Component Solutions) will all be available to meet with during the conference to discuss any of your company’s aircraft & engine inventory and aerospace hose manufacture / distribution service and support requirements. With more than 900 high level attendees, this conference continues to successfully attract a wide range of audiences within the industry that have professional interest and expertise in Russian & CIS air transport. Fly over to Booth 230 during the exhibition and meet the STS team. Thanks, and we really look forward to seeing you all in Moscow!